Journal Journey and Joy! 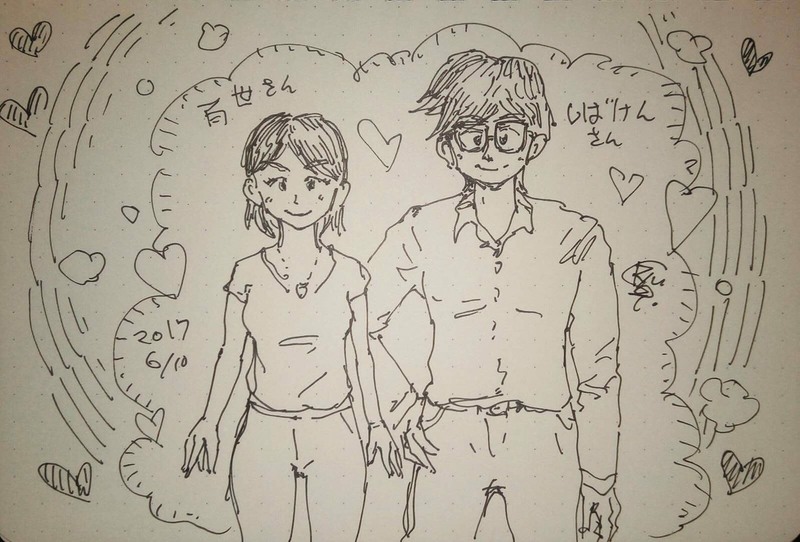 : My friend RYU-SEI drew my girlfriend and me. My friend RYU-SEI is an artist. 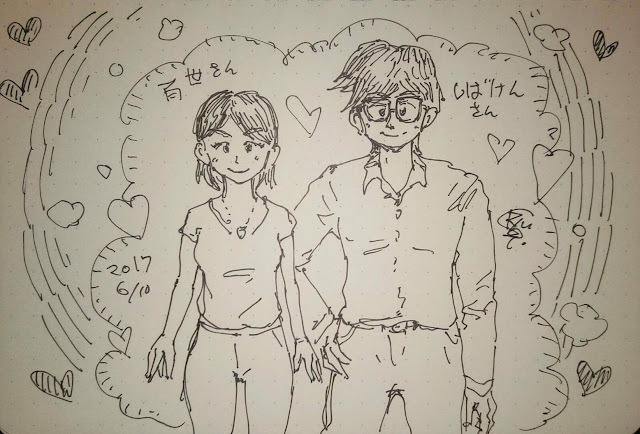 He drew my girlfriend and me as a present. We are so surprised and granted about it. He has an exquisite sense of art and expression. He is a very famous artist now. He holds many exhibitions recent years. Now in Sendai Japan, you can see the real pictures until 9th Aug, at Nakamoto modern museum. Unfortunately, I can't go there but if you are interested in his works. I strongly recommend you. I got new treasure from RYU-SEI. Thank him very much. I really appreciate his such a fantastic present.